Since becoming a vegetarian at the very young age of eleven, I have been cooking for myself and it's something I love to do! Cooking and baking are relaxing activities, I love trying new flavours and I love to eat but there are two aspects of cooking that I'm not a fan of, cleaning up the inevitable mess I make and having to prepare tough squash, carrots and pumpkin for roasting! The knives we currently have are Sabatier knives which are considered to be very good knives but the Furi Pro knives I was very kindly sent, are so much better! The knives have a 25 year guarantee and they're made from Japanese stainless steel; they are also Nigella Lawson's favourite knives and the have been used on her TV shows. I was very kindly sent two of their knives including the 9cm paring knife and the 17cm east/west santoku knife, both of which I'm very impressed with. The paring knife is designed to core, slice and peel vegetables which is exactly what I've been using it for. The east/west santoku knife is ideal for slicing through tough veggies very easily and the paring knife is perfect for carefully removing the thick skin of squash and pumpkin. Additionally, the paring knife is great for peeling fruit very accurately to ensure you don't waste any; paired with the 'tech edge' blade which is extremely sharp, it allows for a very precise, quick dicing, cutting and peeling process. My favourite of the two has to be the massive east/west santoku knife which is the one I've been using the most over the past few weeks. It's a combination in style and design of a western cooks knife and an eastern vegetable chopper. As with the paring knife, it has a Japanese steel blade for superior durability and rust resistance, an innovative handle design which reduces slip and a blade of seamless construction that ensures the elimination of food traps for optimum safety and hygiene. The knives are both so sleek in their design, they look very expensive and durable especially considering the weight of them. 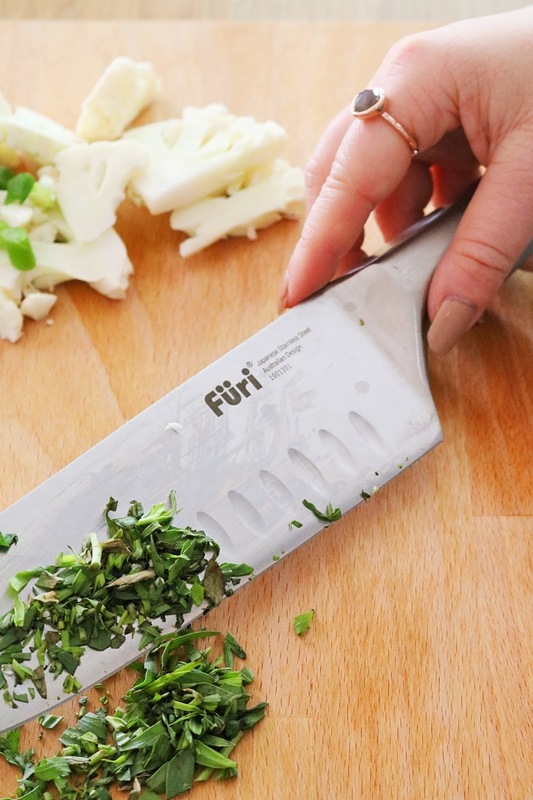 They are very easy to use, they don't feel cumbersome to use and they are both extremely sharp so much so that they make very easy work of tough veggies which would have usually taken our old knives much longer to tackle! I know they are both a little on the expensive side but if you cook every day as I do then they are definitely worth it for the ease of use, sharpness and efficiency. As well as individual knives they also come in sets of two or more which would make amazing gifts for any foodie! Have you tried any knives from this brand? Did you know that they were favourites of Nigella? Why not check out my other food related posts? these look so good and very expensive! I'd feel like a proper cook using these! They are so expensive, but if they're good, I'd definitely pay for the more expensive knives! These remind of knives we have here called cutco! They are so expensive but worth every penny! Who doesn't love a bit of Nigella? She is SUCH a babe! I felt so grown up when I bought myself a set of good quality knives! It looks very sharp and a great tool in the kitchen. I am pretty scared of sharp knives to be honest, haha! When I have my own place, I want my kitchen to be FULL of stuff like this! We have rubbish knives at home! I've started properly cooking since receiving a recipe box and hace just realised how rubbish my knives are! Good knives make all the difference! ah I love a good set of kitchen knives. These look amazing! I saw that you can get them on a magnetic rack too.